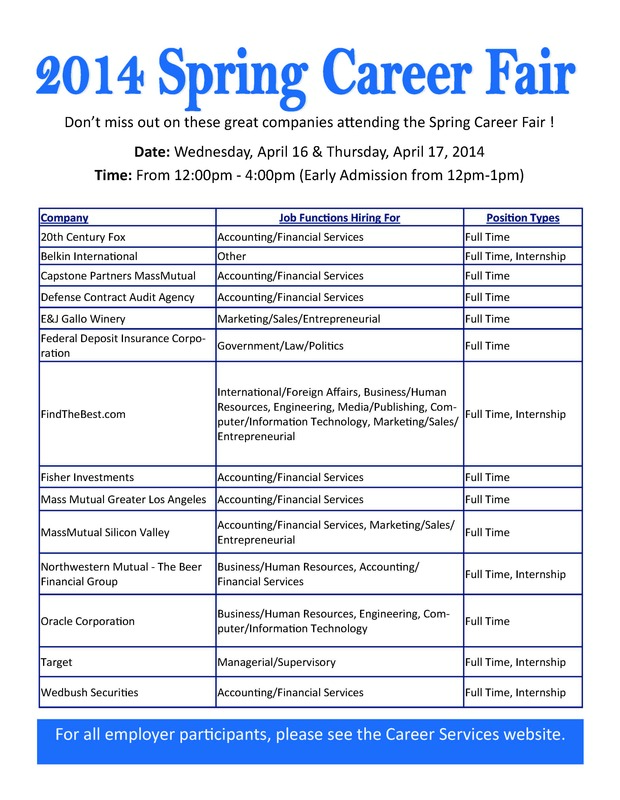 TOMORROW – Spring Career Fair – great opportunities for graduating seniors! Don’t miss out on the last career fair of the year! Below is a list of employers who we think our students will be most interested in meeting with. A full list of participants can be found here. ← Advising meetings start next week!